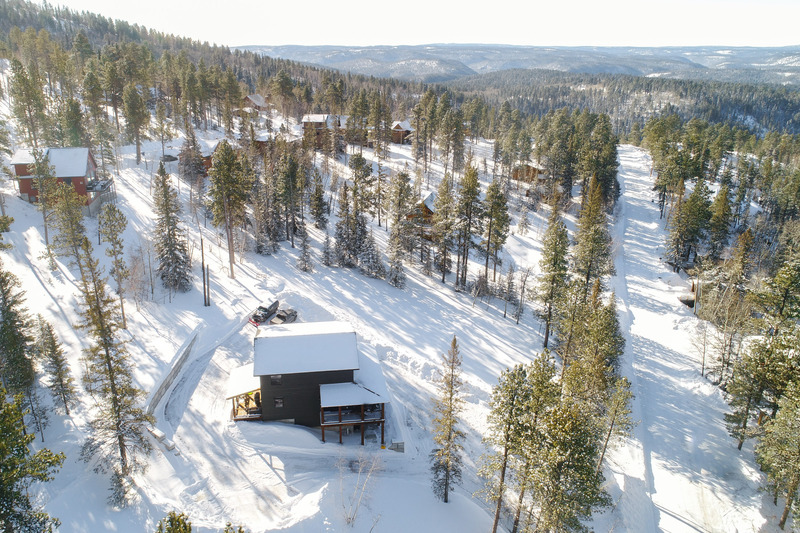 Welcome to Door 4, the next vacation home that's sure to give you that unique vacation experience you're looking for in the Black Hills! It's sure to leave a lasting impression in your memory for years to come! Just imagine kicking your feet up by the fire at your very own home-away-from-home close to the Terry Peak ski lodge, only a 15 minute drive to downtown Deadwood with gambling and great events and only a 10 minute drive to wonderful Spearfish Canyon with its rimrock canyon walls and fantastic hiking and fishing! - There's even taxi service to the cabin from Deadwood! 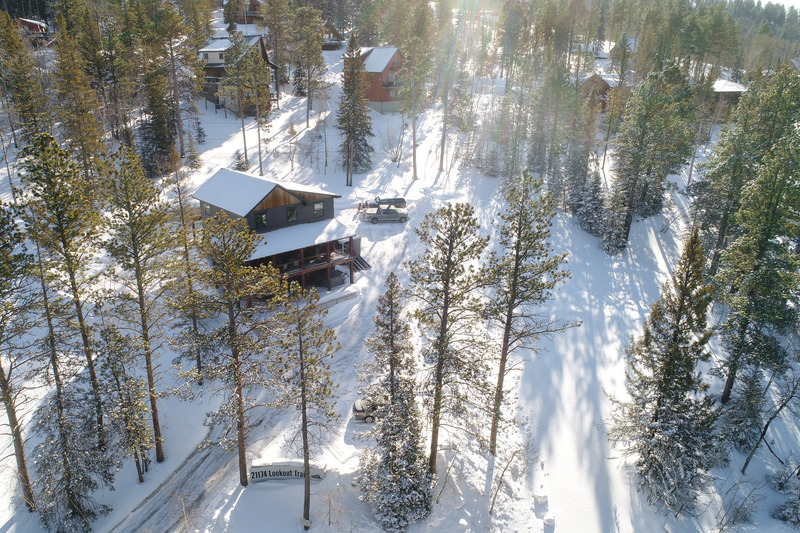 The cabin is located perfectly in the northern Black Hills recreational corridor with many things to do and access to both winter/summer trails that fit your adventurous side; so bring your ATVs and snowmobiles and enjoy the wonderful scenery in the Black Hills! If sight-seeing is your thing, you can be taking in the breathtaking beauty of Mount Rushmore, Keystone, and Custer State Park in under an hour's drive. Whether you're visiting to see the sights, or enjoy an adventurous weekend, Door 4 is the perfect vacation home! After your daily adventures, coming home to Door 4 is sure to be the icing on the cake. 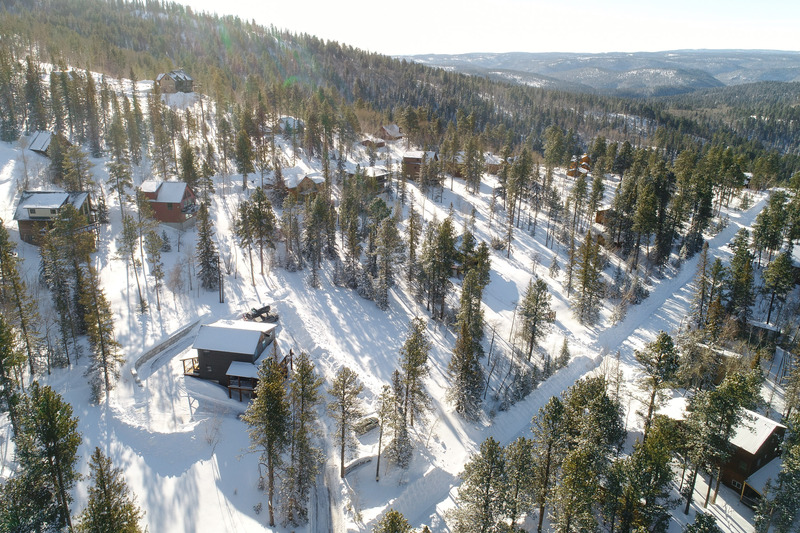 This beautiful 4 bedroom, 4 bath cabin has a wrap-around covered deck with great views of the surrounding forest. There's also a hot tub on the lower level patio where you can view the local wildlife and starlit skies while enjoying some rest & relaxation. There's 9 total queen beds spread throughout the home to easily accommodate up to 18 of your closest friends or family while the open living/kitchen area makes it easy to cook your own meals while enjoying the company of your guests. The two living areas makes it easy to spread out, and there are multiple TVs for those nights you just want to stay in for a movie night. 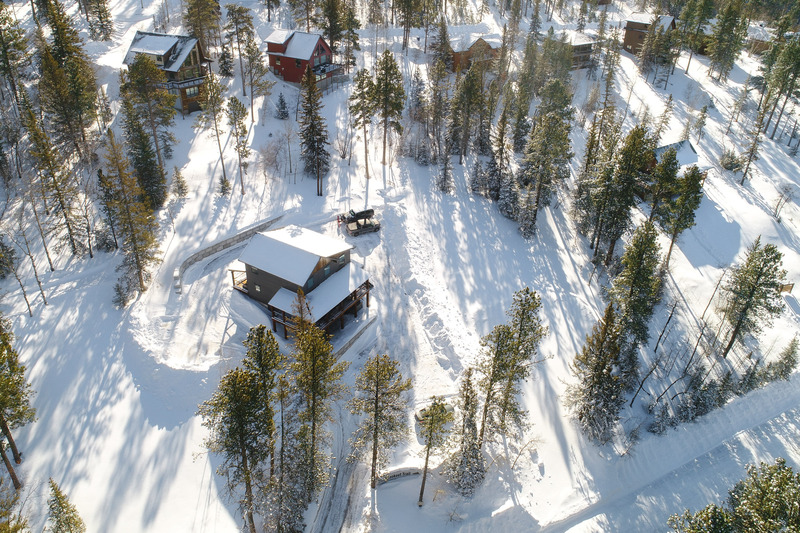 There's plenty of parking for vehicles with trailers, so bring your ATV's and snowmobiles and enjoy some trail riding. We welcome you to Door 4 on your next Black Hills vacation and look forward to hosting you while you make new wonderful memories.